Benefits: Baical skullcap is a traditional herbal remedy used extensively in the Chinese system of medicine. The traditional and ancient use of this herb was confirmed when in 1973 excavations led to the discovery of 92 wooden tablets in a 2nd-century AD tomb in a region of northwestern China. Baical Skullcap was among the herbs listed in the various prescriptions for the preparation of decoctions, tinctures, pills, and ointments in these ancient wooden tablets. Chinese medicine gives a central place to the baical skullcap, and traditionally the Chinese herbal medicine has made extensive use of the herb. It was considered one of the main remedies to treat “hot and damp” conditions, including disorders such as dysentry and diarrhea – and it is used in this role to this day. Baical skullcap according to the traditional Chinese medical texts possesses “cold” and “bitter” qualities. And for this reason, the remedies of the baical skullcap are usually suggested in the medical system of China for use in the treatment of hot and thirsty conditions-including the treatment of various high fevers, all kinds of persistent coughs which come with the production of thick and yellow phlegm, and in the treatment of all manners of gastrointestinal infections which give rise to diarrhea, and in the treatment of dysentery and other related conditions. Individuals suffering from painful urinary conditions also benefit from using remedies made from the baical skullcap. Extensive use of the baical skullcap is now also suggested to treat all kinds of allergic conditions, with the evidence from recent research. Thus this remedy is suggested for use in the treatment of conditions like asthma, conditions such as hay fever, skin disorders such as eczema and in the treatment of nettle rash. The remedy is thus mainly used for the treatment of topical disorders of the skin, even if the anti-inflammatory properties will no doubt be much more effective and useful in treating all sorts of digestive infections and problems associated with the gastrointestinal tract. Circulation and disorders of the circulatory system also benefit from remedies based on the baical skullcap; indeed this herb is a very valuable remedy for all problems related to the circulation of blood. Baical skullcap is used in herbal combination formulas with other herbs, and such remedies are used to treat conditions such as high blood pressure, problems like arteriosclerosis, disorders such as varicose veins, and to prevent easy bruising of the skin. Active Constituents: For more than 2,000 years now, people have been using baical skullcap for therapeutic purposes and latest studies have discovered that the roots of this herb enclose flavonoids (about 12%) – baicalin, wogoniside, sterols and benzoic acid, which not only augment the functioning of the liver, but also possess anti-allergic and anti-inflammatory actions. Pharmacological Actions: The root of baical skullcap possesses anti-bacterial, anti-pyretic, anodyne, anti-spasmodic, anti-cholesterolemic, astringent, diuretic, febrifuge, cholagogue, expectorant, nervine, purgative, haemostatic, stomachic, gently tranquilizing and also tonic properties. Chinese researchers have carried out extensive and thorough studies on the baical skullcap. These studies have confirmed that the baical skullcap herb indeed possesses marked anti-inflammatory and antiallergenic properties which are beneficial in the treatment of many ailments. The properties of this herb are largely due to the presence of compounds known as the flavonoids in the plant. The levels of these beneficial flavonoids in the herb, is comparable to the levels of such compounds in other beneficial herbs such as Hawthorn (Crataegus oxyacantha). The remedies made from the baical skullcap may also be useful in effectively treating all sorts of venous problems and to treat fragile capillaries in the body. The root has a reputation of calming the fetus in pregnant women. In addition, the remedial preparations using this root are ingested to treat dysentery, enteritis, diarrhea, chronic hepatitis, jaundice, hypertension (high blood pressure), infections of the urinary tract, nosebleed, threatened miscarriage and also to stop bleeding from the bowel or lungs. In fact, the root of baical skullcap is a constituent of the Chinese drug called ‘injection of 3 yellow herbs’. Baical skullcap has the aptitude to lessen liver inflammation, stimulate the destruction of cells, of liver cancer and also put off the damage caused to the immune system due to chemotherapy. In addition, there are several people who use this herb for treating infections of the kidneys, pelvic inflammation, swellings and sores as well as HIV/AIDS. 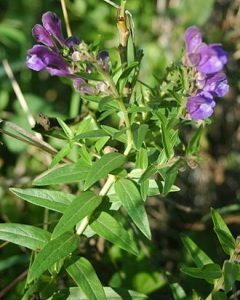 Baical skullcap is also employed to treat conditions like headache, tetchiness, flushed face, red eyes, scarlet fever, hysteria, seizures and nervous tension as well as to alleviate any bitter taste in one’s mouth. Justification for the use of the baical skullcap in the treatment of high fevers and infections such as dysentery is suggested by numerous clinical studies. These disorders are traditionally treated using this herb and now clinical proof exists that the remedy is useful and effective. The herbal remedies made from the baical skullcap may also be used to treat conditions and problems induced by the presence of diabetes, including complications such as cataracts in the eye. Occasionally this herb is applied to the skin to treat psoriasis. Contraindications: Although the herb baical skullcap is harmless for majority of the people using it, it may result in side effects like drowsiness, liver ailment and inflammation of the lungs. Therefore, people using this herb need to do so with caution. People enduring certain health conditions should avoid using baical skullcap. It is advisable that pregnant and lactating mothers and people suffering from problems related to the functioning of their spleen and stomach should not be using this herb.